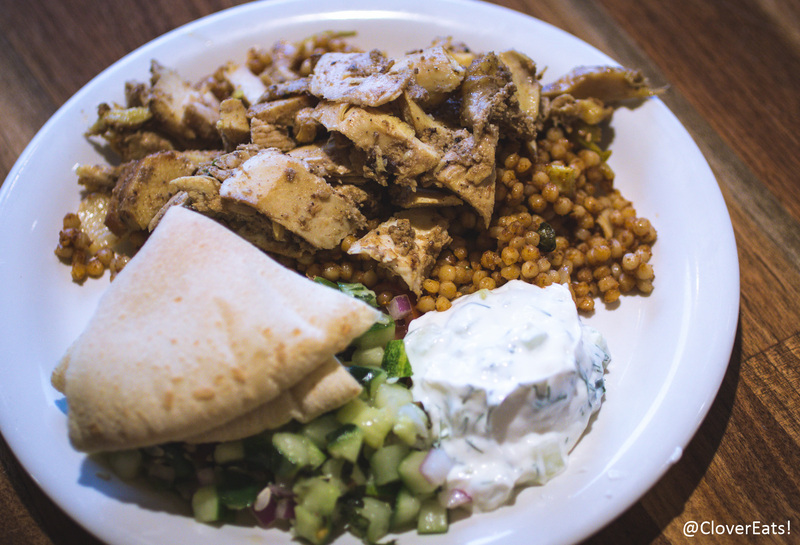 CloverEats: Olive Mediterranean Grill in Evanston | Clover Eats! 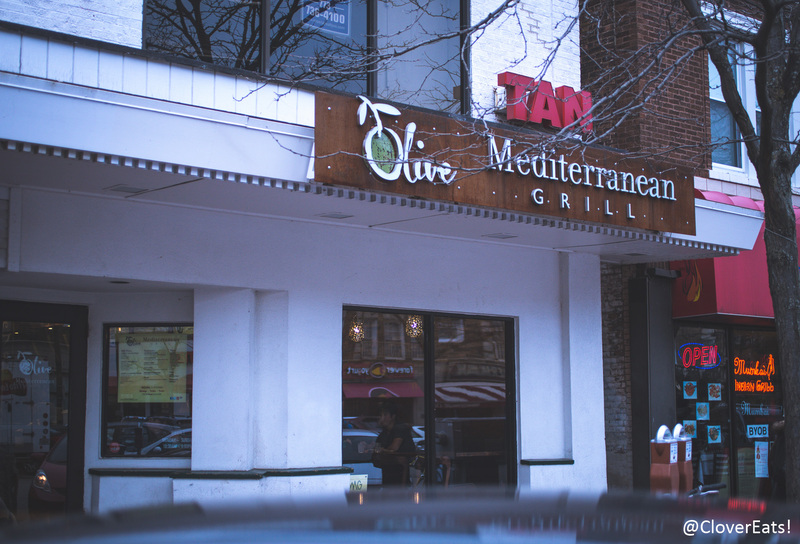 Olive Mediterranean Grill (OMG) is a small place that took over the spot on Sherman that Starbucks vacated when it upgraded to a larger location down the block. My parents have raved about it and how popular it’s gotten since it opened. It’s a pretty simple layout with different plates you can put together. 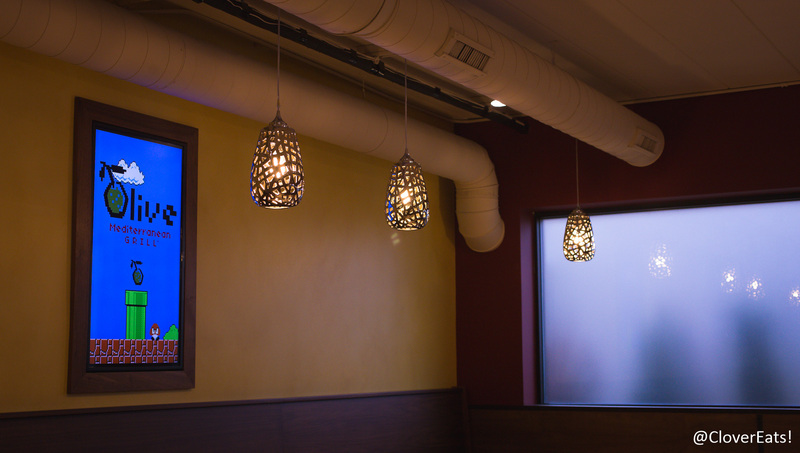 For a casual restaurant, I really thought they had good ambiance with the use of wood and brick and interesting lights. 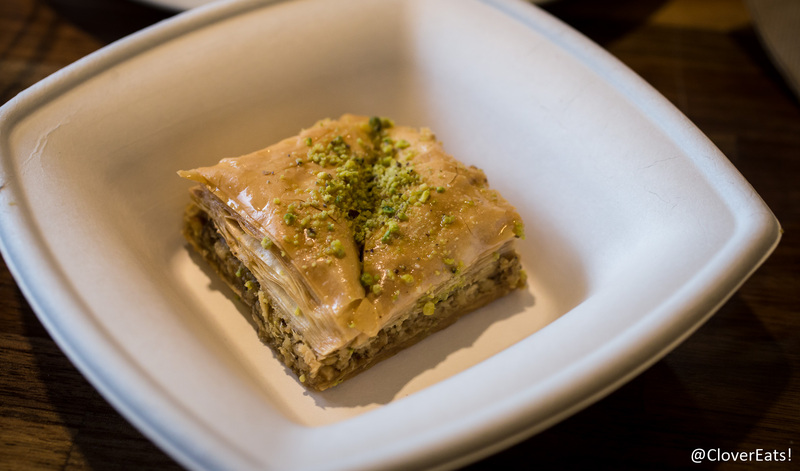 Ordering was quick, and the food was hot and fresh. 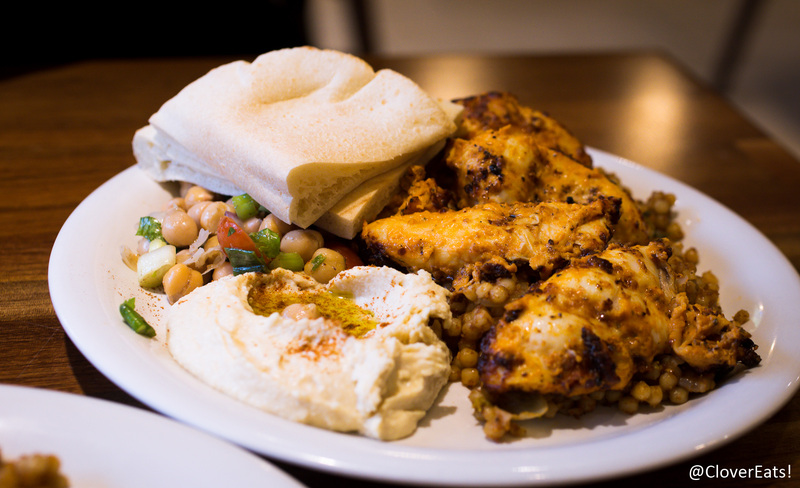 I really enjoyed their yogurt and soft, fluffy pita bread. My shawarma was little on the dry side, but the chunks of boneless spicy chicken kabob my dad got was juicy and delicious. Overall, a nice, fresh, and healthy place to grab a meal. If I were still here, I’d definitely be hitting up OMG. Check them out on Yelp or at their website!